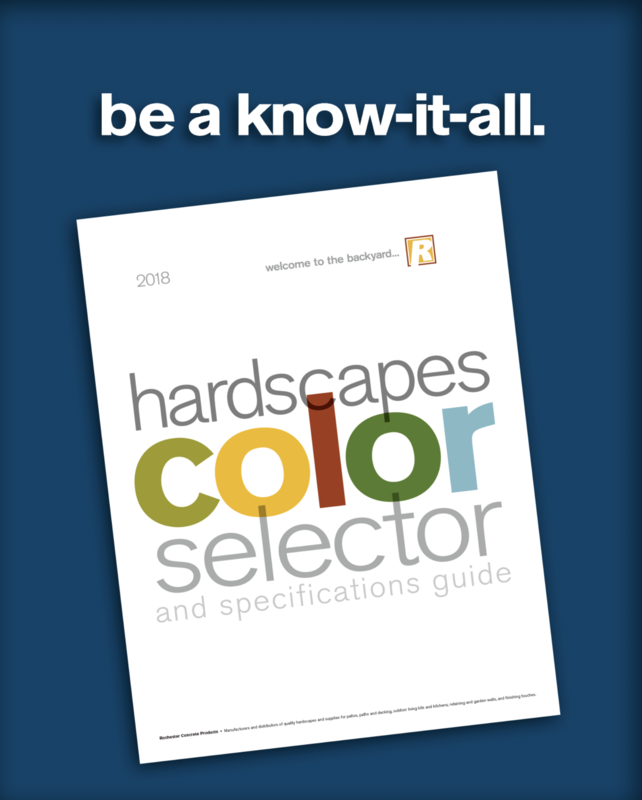 The ALL NEW 2018 RCP Color Selector and Product Spec Guide has arrived and will be available at distributors very soon. Rochester Concrete Products is a manufacturer and distributor of quality hardscapes materials from Silver Creek Stoneworks, Rockwood Retaining Walls, Interlock, Rosetta, Keystone Retaining Wall Systems, ReCon Wall Systems, Barkman Site Furnishings, Techniseal, Alliance Gator, Snap Edge Paver Restraint, Strata Systems, and Super-Stik. Certain products not available in all areas.